I’ve been a flitty knitter lately. That is I flit from project to project. That’s a nice way of putting it. I could say that I am lacking the “stick-with-its”. Or I could argue back that I’m knitting and it’s my beloved hobby so I should knit whatever the heck I want. I do have these arguments with myself. 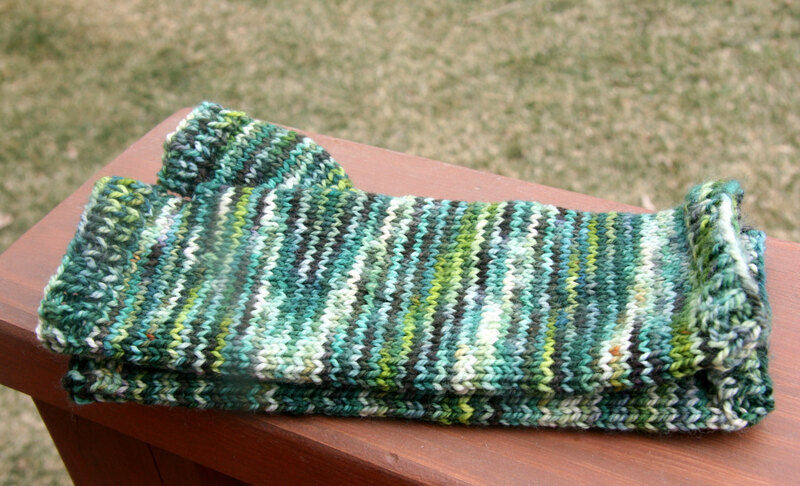 But I did finish a second pair of “Jiffy Mitts“. These are a fun simple knit, and they are a good way to try to bust through some of my yarn. I used most of the rest of my “Murderous Honey” yarn. I also had some Page Wood Farms Denali yarn which needed to be used up. I decided to knit another Perseverance Shawl. I made one last summer before we left Arkadelphia. It’s a great pattern to stick in my purse and to pull out whenever I get the chance to knit on it. I wore the finished one a lot this past winter. Those shawlettes are great to wrap around your neck and are nice and warm. And finally. Here’s where I need the Perseverance. I’ve been working on these diligently for the last 4 evenings. Here’s how far I am. Not very far. But they are fun to knit. Besides that I need the practice with the 2 circular needles. I don’t have problems with “ladders” when I knit on dpns, but I have got some ladder problems with these circulars. So I am working on giving firm tugs between needles and trying to figure out how to eliminate those ladders. 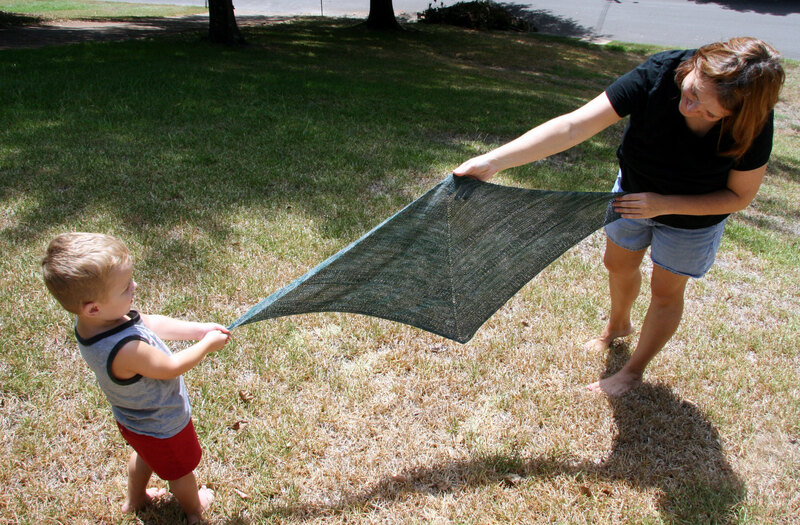 Part of the problem is that the first stitch is often a purl and to me that makes it harder to avoid the ladder thing. But these are wonderful socks and a joy to knit. This entry was posted in Knitting by cpeezers. Bookmark the permalink. 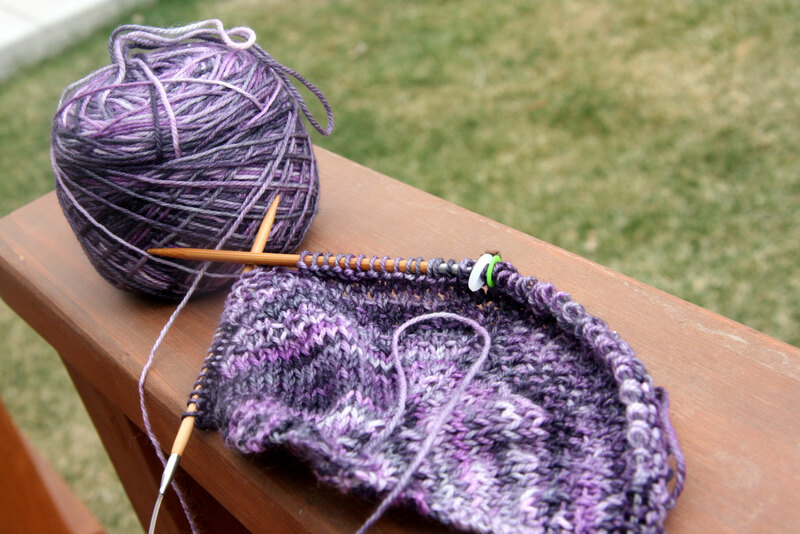 I have different projects going at the same time for the different knitting moods I’m in. Sometimes I can concentrate and sometimes not, so it makes sense to have projects that don’t all require the same level of concentration. 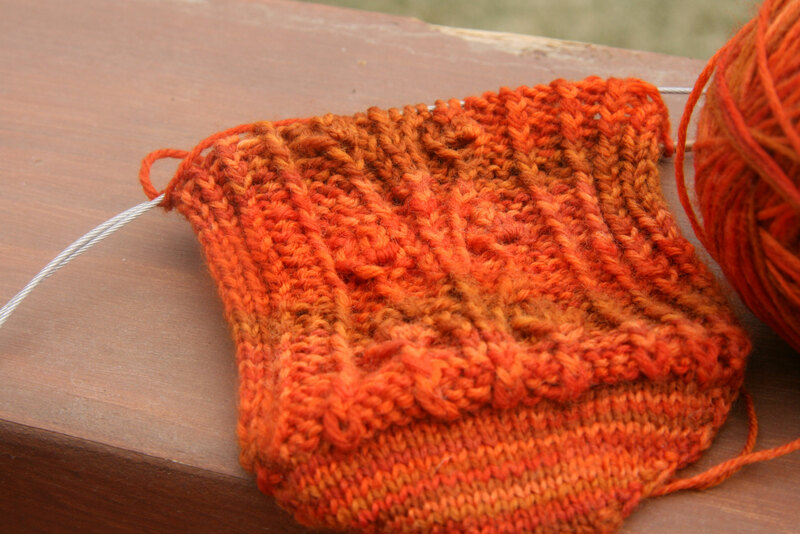 With socks on two circulars, try giving a good tug on the 2nd stitch instead of the first. For me, that works better at preventing ladders. LOVE your new socks! You know I have multiple projects going on, lol. It is good to have a choice of what to knit depending on your mood. My preferred method for socks is dpns. I tried magic loop but had ladders! and I don’t have ladders with dpns. Have you tried the 9″ circular for socks? It is great when the pattern starts with a purl st. You will still need dpns for the heel and toe. Yes, I agree with Susan (the first one, LOL) about tugging on the 2nd stitch instead of the first one. That works for me every time. Keep on flitting, the projects all look great!